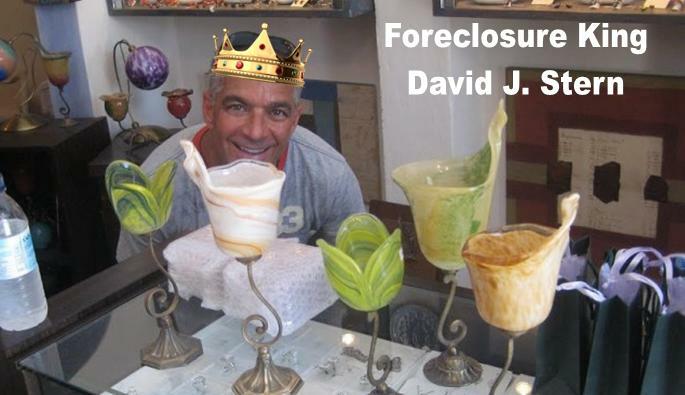 As you all know, David J. Stern, Foreclosure King, is under investigation for securities fraud. Chardan 2008 China Acquisition Enters Into Business Combination With DAL Group, David J. Stern Law office, DJSP Enterprises, Inc – Gone public on the NASDAQ. Foreclosure Mill in Plantation Fl run by David J. Stern Law office (DJSP Enterprises, Inc)., went Public on the NASDAQ, David J. Stern has 1/3 ownership of the common stock with Kerry S. Propper 1/3 and “Royale Holdings” 1/3. Unless otherwise indicated, the business address of each of the individuals is 900 South Pine Island Road , Suite 400, Plantation, Florida 33324. Kerry S. Propper…..Chardan 2008 China Acquisition was run by Kerry S. Propper, he has had some problems with the SBA and the Department of Justice as did his father Dr. Richard D. Propper. Kerry S. Propper, Richard D. Propper and Royale Holdings own 1,151,128 shares of Chardan 2008 China Acquisition, they are the majority share holders of the company now directly linked to David J. Stern which is DJSP Enterprises, Inc. Published January 12, 2007 Kerry S. Propper is an executive at both SPACs. Richard Propper, father, a physician and venture capitalist who had started an array of businesses, including Medibuy.com, a Website for marketing medical supplies. Propper subsequently launched two more bulletin-board-traded SPACs — Chardan North China Acquisition (CNCA) and Chardan South China Acquisition (CSCA). He serves as chairman of the former and chief financial officer of the latter. Richard Propper is head of Chardan Capital, a San Diego-based venture capital firm. His son Kerry S. Propper, who is an executive at both SPACs, heads the similarly named Chardan Capital Markets, a New York-based broker-dealer and investment bank. In 1996, meanwhile, he settled with the Securities and Exchange Commission over allegations that, as a general partner of two Montgomery funds, he failed to disclose holdings and transactions in several public companies. He says it was simply a matter of bookkeeping issues. If this history has cast a shadow over Origin’s shares, an early recovery is hardly likely in view of new litigation. On Dec. 29, the Justice Department filed a civil suit in federal court for the Eastern District of Pennsylvania against Propper, his partner Daniel Beharry, their former partner John Torkelsen and Sovereign Bancorp, alleging they’d defrauded the Small Business Administration of $32 million. That suit is running parallel to a civil action filed by the SBA in early 2005. In that action, the government alleges the same plaintiffs (Kerry S. Propper) funneled SBA money through Acorn Technology Fund, a small-business investment company, to their own companies. Among other things, it contends that Propper loaned money to Acorn to finance Medibuy, that Acorn repaid him with SBA money, and that Propper-related partnerships received more than $800,000 from Acorn. In June, Torkelsen began serving a 70-month Federal prison sentence after pleading guilty to making false statements to the SBA. A Justice Department spokesman says the government aims to recover up to $96 million from the defendants in its suit. In interviews last week, Propper and Beharry called the allegations in the suits “baseless.” Sovereign says none of its current employees are involved. Propper puts the whole blame on Torkelsen: “It was his doing completely. He’s in jail. The SBA didn’t oversee him as well as they could have, and they’re just angry at the fact that money was lost.” Torkelsen’s attorney didn’t return calls for comment. As for Origin, Propper still does shareholder-relations work for the company. In an answer to e-mailed questions from Barron’s, Origin’s chief financial officer, Jeff Wang, declined to comment on the stock-price decline or the litigation, other than to state that Origin isn’t named. Wang noted that Origin’s revenues in the six months ended June 30 were $65 million and net income was $13 million, sharply higher than five years earlier, and that proprietary products now account for 10% and a growing portion of sales. And, he says, Origin remains focused on acquisitions. Pursuant to powers granted under the Receivership Order, the SBA undertook the task of marshaling the assets of ATF and conducting all business affairs of ATF. This included making written demand upon certain limited partners of ATF for arrearages on investor agreements. On October 29, 2003, after the Defendants (Kerry S. Propper et al) failed to meet their contractual obligations, the SBA, in its capacity as Receiver for ATF, brought separate actions against eight individual defendants and one corporate entity alleging breach of contract. The court consolidated all the cases on January 27, 2004. In response to the SBA’s demands, all defendants filed answers, affirmative defenses and counterclaims against both ATF and the SBA. The Defendants allege claims for fraud in the inducement against ATF and negligence against the SBA. After being courted as potential investors by John Torkelsen, president and manager of Acorn Technology Partners, L.L.C. (“ATP”), the general partner of ATF, the Defendants entered into investment agreements (“Subscription Agreements”) for a partnership interest in ATF. In the Subscription Agreement, each defendant contracted to purchase a limited partnership interest in ATF and to make certain capital contributions to the partnership. For the foregoing reasons, the SBA’s Motions to Dismiss Defendants’ Counterclaims are Granted and the Defendants are ordered to pay the SBA as listed below; ATF is a New Jersey limited partnership pursuant to the Certificate of Limited Partnership filed with the Secretary of State of New Jersey on September 29, 1997. David J. Stern with DJSP Enterprises, Inc., went Public on the NASDAQ, David J. Stern has 1/3 ownership of the stock with Kerry S. Propper 1/3 and “Royale Holdings 1/3.